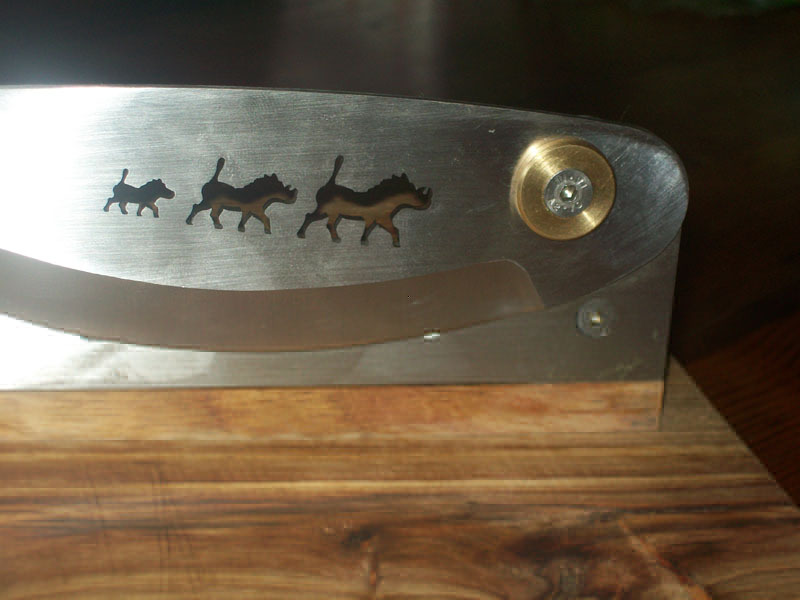 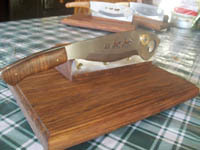 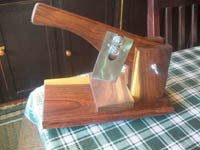 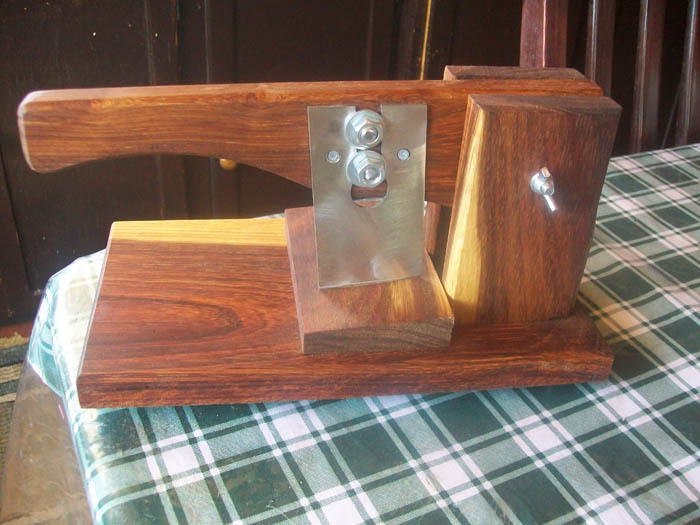 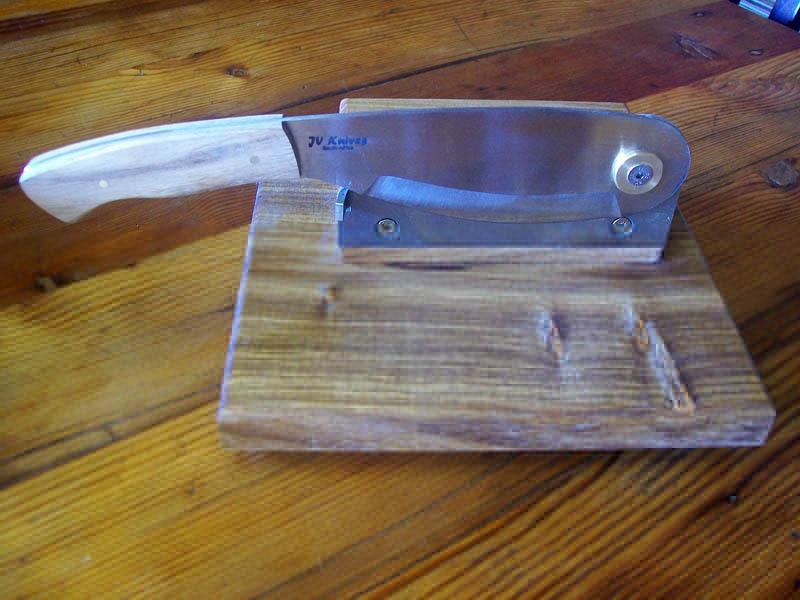 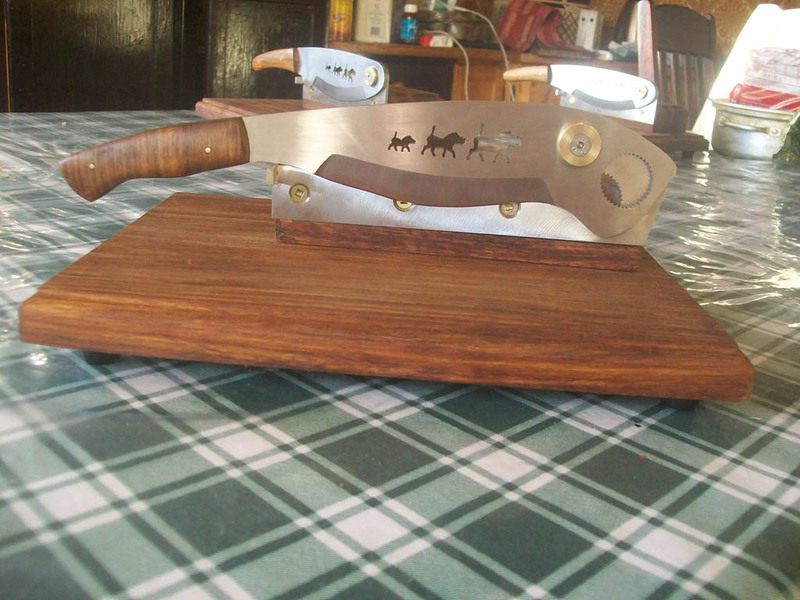 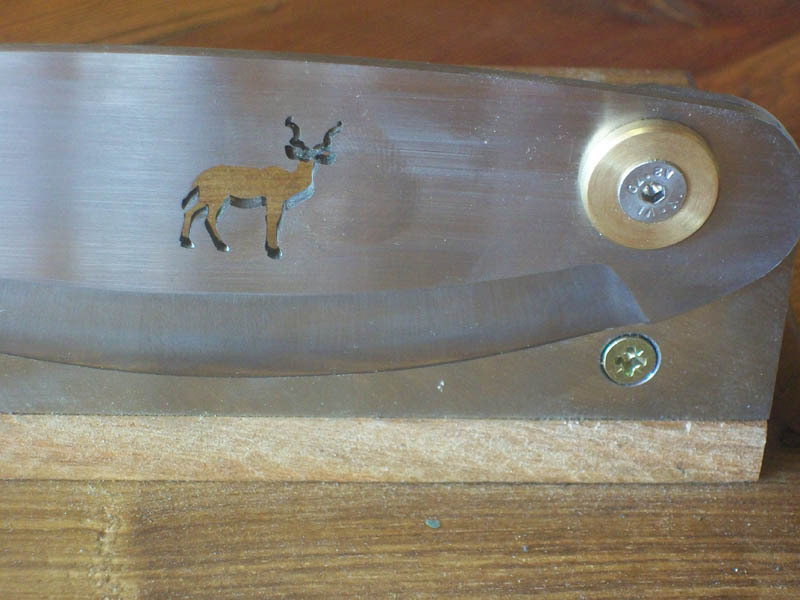 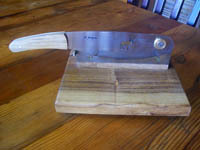 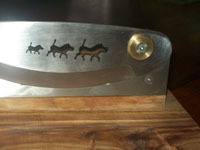 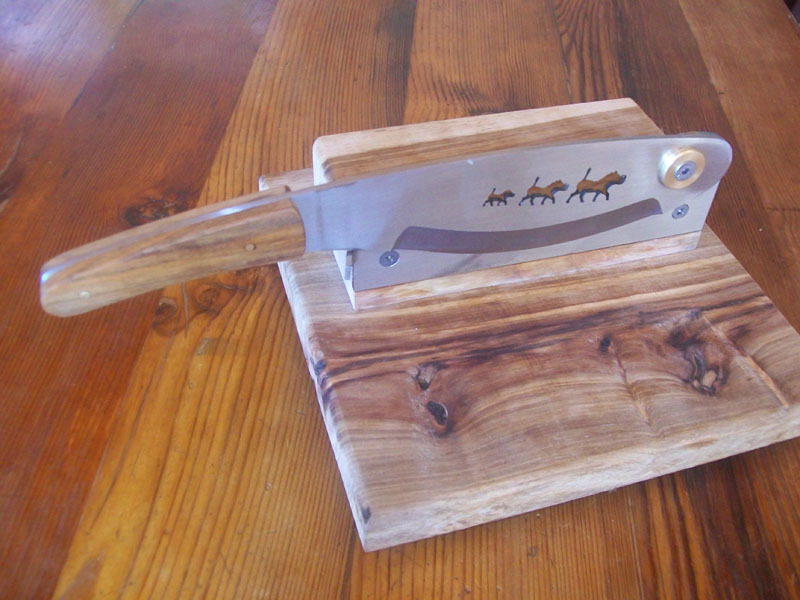 Biltong Cutter / Carver - Handmade biltong Cutter. 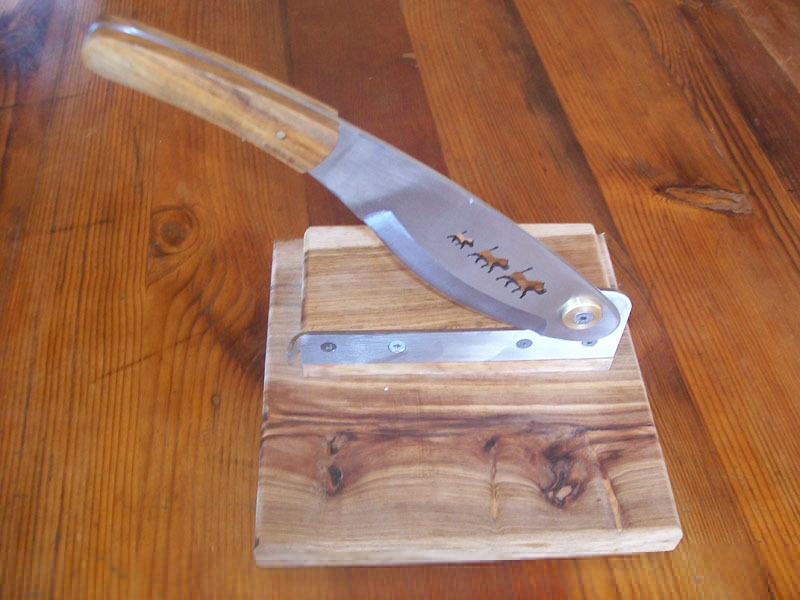 A razor sharp blade with a guillotine cutting action cut any piece of biltong with ease. The wooden base is made from locally available hardwood. All the biltong carvers can be branded with your company logo. This can be a valuable marketing tool for Butcheries and Biltong shops. 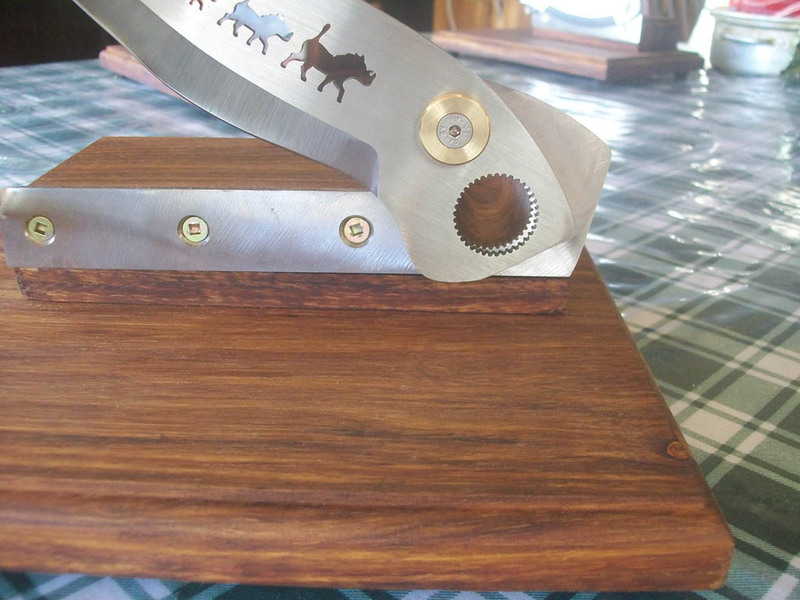 Your branding can be laser cut into the steel blade or laser engraved on the wooden base.